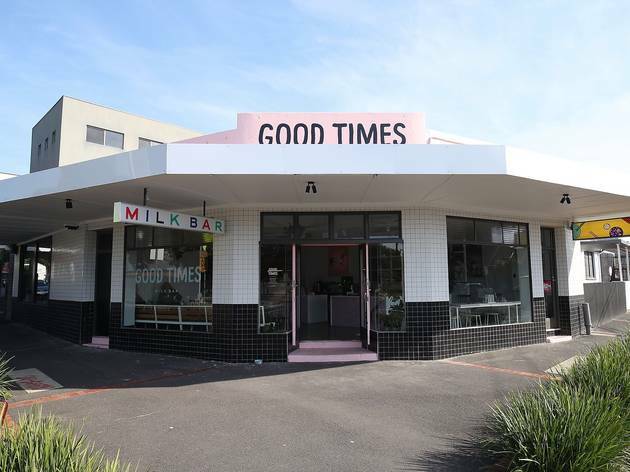 This Bentleigh café pays homage to the corner stores of yore and sits, appropriately enough, on a street corner. 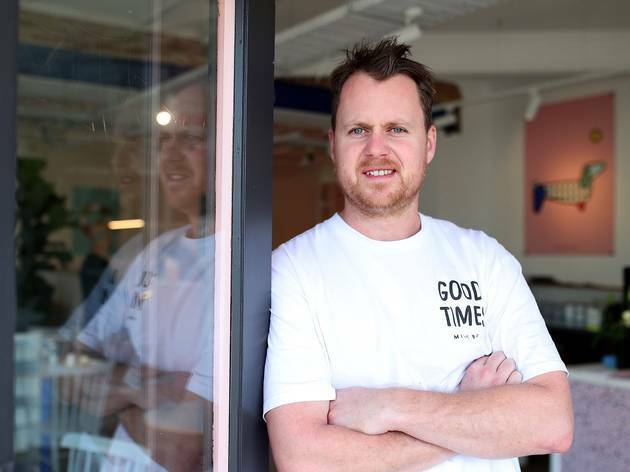 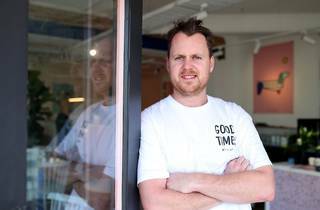 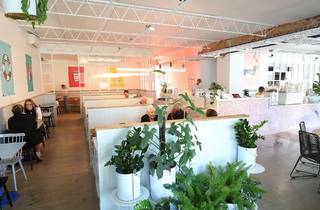 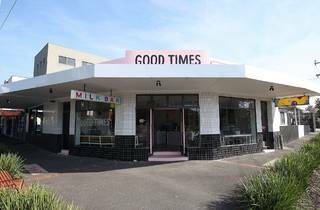 Good Times Milk Bar owners Brett Louis and Brent Scales have given the site a serious refurb, transforming a moribund shop into a perky café. 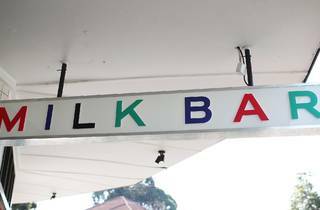 A school holidays weekday sees a good mix of clientele: little kids tuck into burgers and golden potato gems while pensioners swap gossip at gloriously high volume. 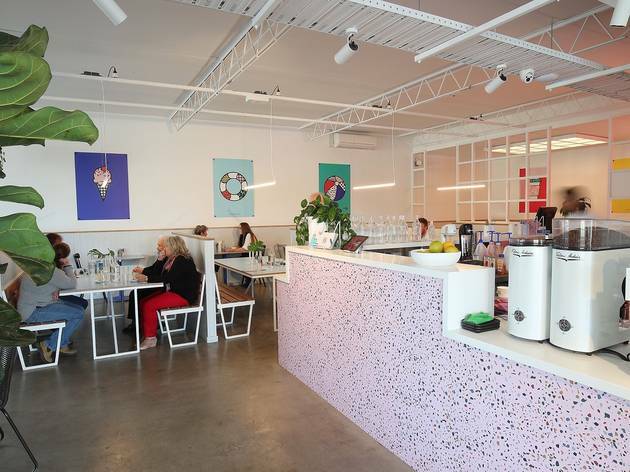 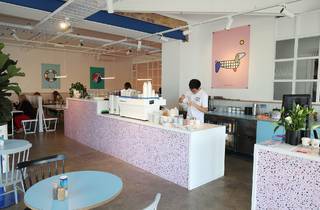 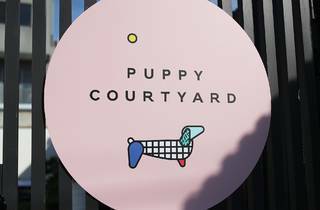 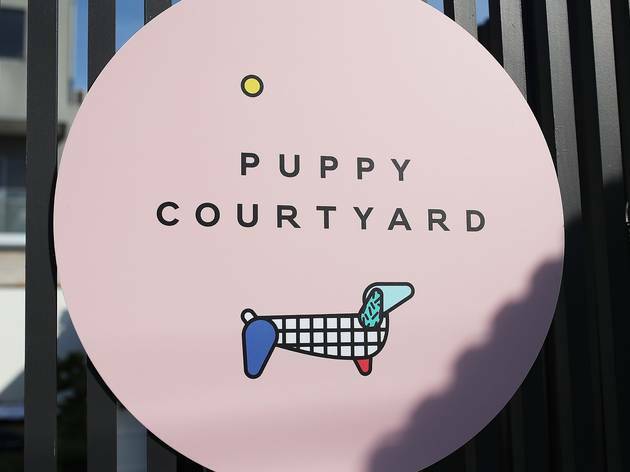 The interior has personality in spades, with its powder-pink-and-blue colour scheme and art prints of ice creams and sausage dogs. 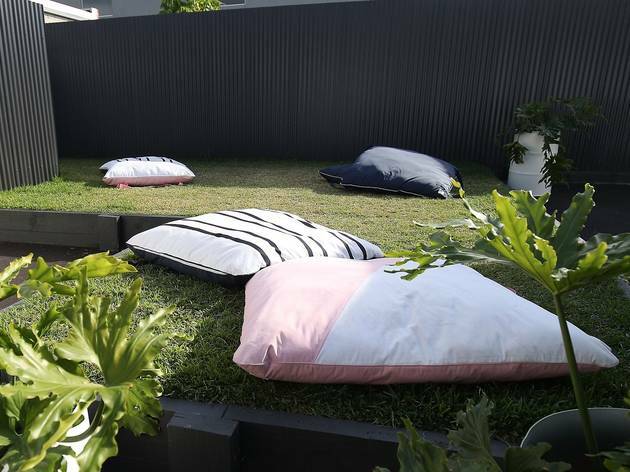 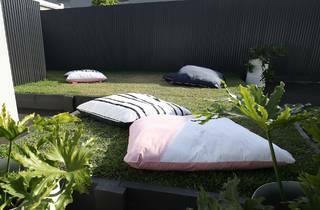 Out back there’s a courtyard equipped with big cushions where persons with pooches can brunch in companionable comfort. 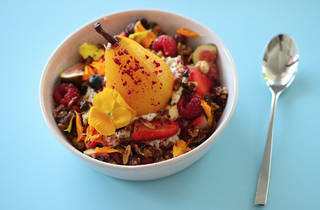 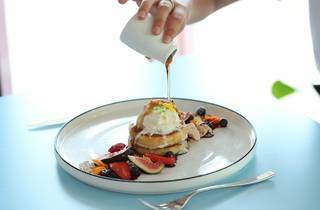 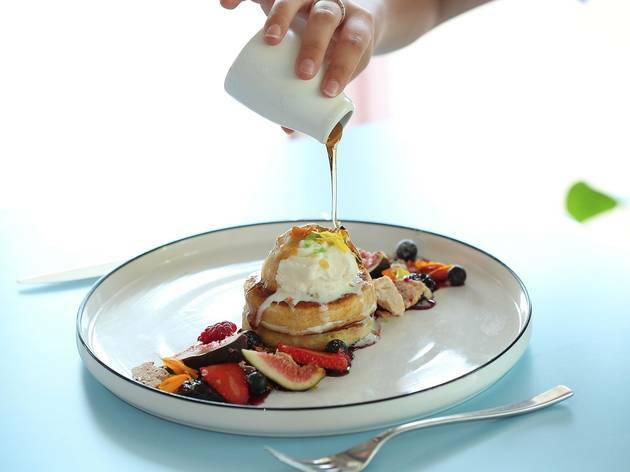 The menu has café standards with unusual flourishes – bircher muesli comes with strawberry granita, while those spectacular hotcakes with berry compôte, meringue crumb, ice cream and a spiced maple syrup are waggishly topped with popping candy. 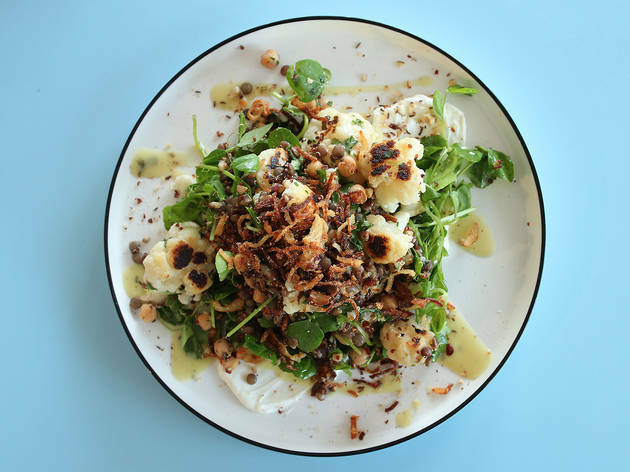 Roasted cauliflower salad is a generous bundle of nutty roasted florets dusted with caraway seed, with brown lentils and quinoa for oomph. 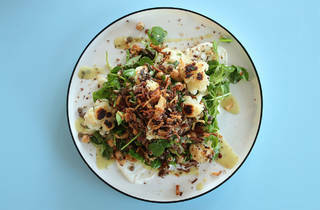 Coriander leaves pep it up, and there’s a thick, creamy yoghurt sauce you can swirl your florets through. 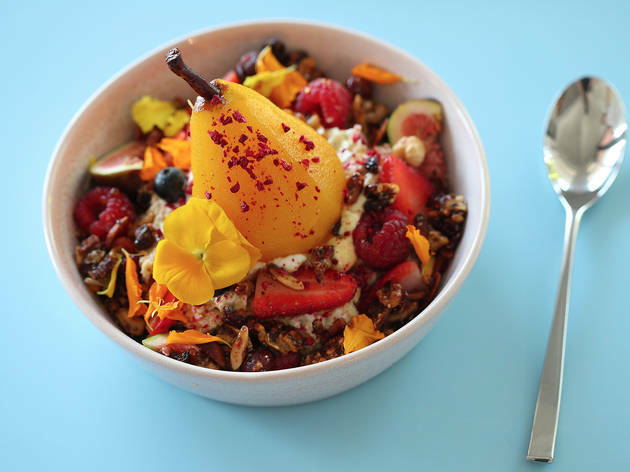 Lunch on this and you’ll feel both satisfied and virtuous. 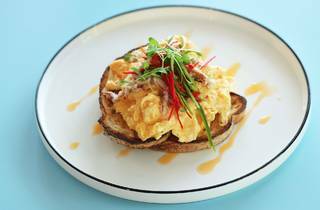 If scrambled eggs have ever struck you as pedestrian, try GTMB’s: chopped green and red chillies bring Eastern zing and a tingly powder of Szechuan pepper cuts through the eggy creaminess. 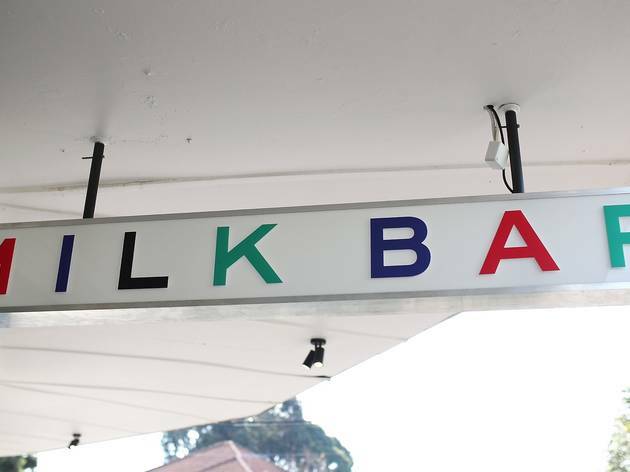 And would you like crab with that? 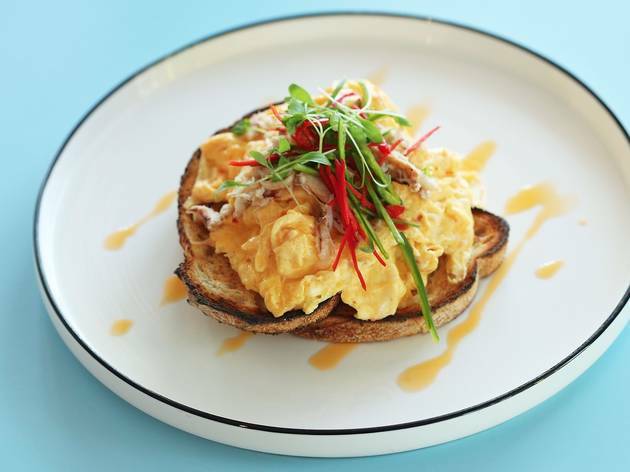 For $8, you can upgrade your meal with sweet flaked crustacean, an inspired combination that’s much lighter than your usual eggs when accompanied by bacon. 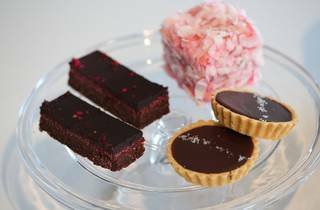 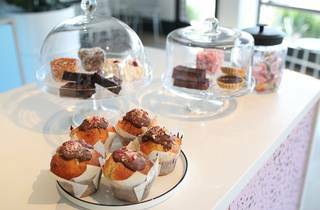 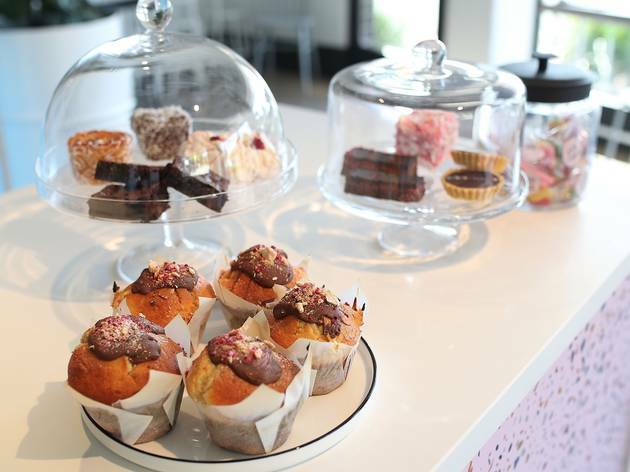 Cakes are outsourced from Little Bertha and Cremorne Street Bakers. 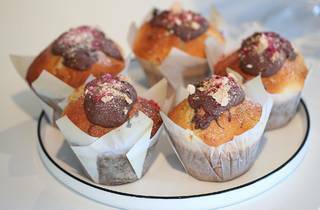 If the former’s chocolate cupcake with white icing is available, snap it up. 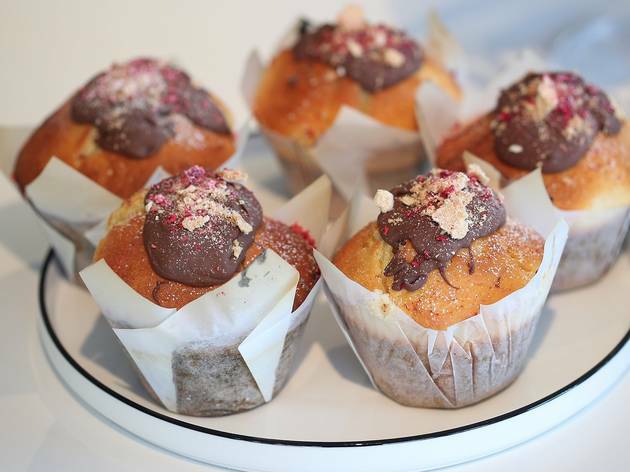 A dense coffee and hazelnut torte, its white chocolate icing is the fluffiest in town. 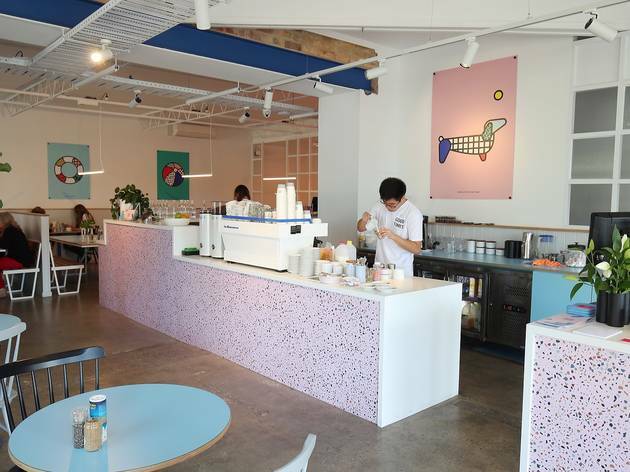 Coffee is by Small Batch Roasting Co and there’s chai, golden lattes and milkshakes too. 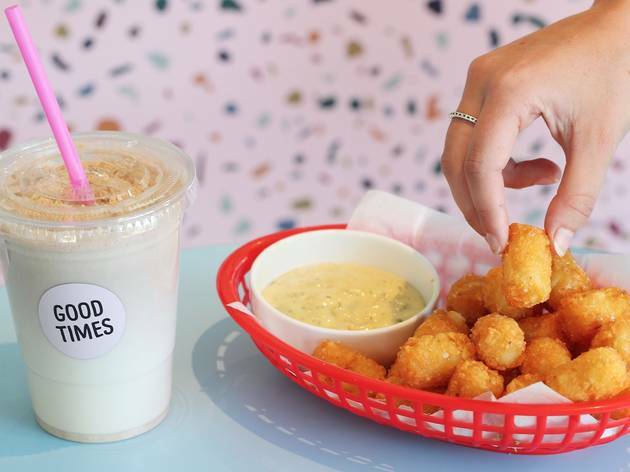 The Golden Gaytime milkshake is a beauty. 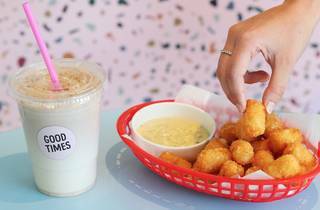 A blend of Golden Gaytime ice cream, frosty-cold milk and crunchy biscuit crumb, it’s a not-too-thick shake that you’ll want to slam down fast. 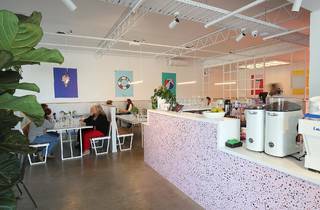 With plenty of space, a smart café menu that’s handled with care and an unpretentious vibe, GTMB is a goer. 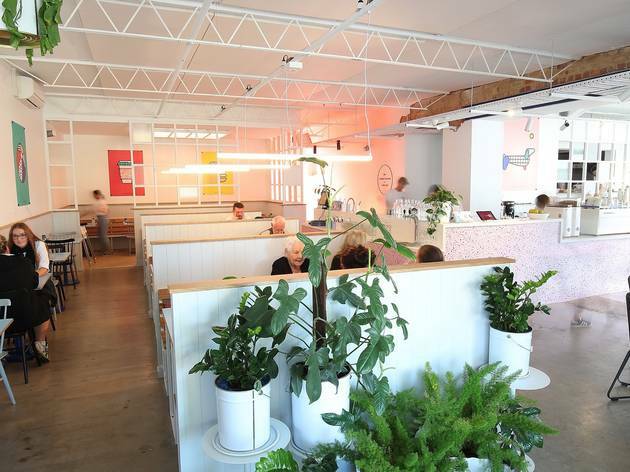 Hounds and humans of Bentleigh, look lively.